Nancy Pelosi continues to refuse money for Trump’s border wall. She claims it would be ineffective and immoral, even though she enjoys a wall around her mansion as well as the walls of Congress. What’s really immoral is someone who has enriched herself through government. Her net worth is now around $120 million. Her main concern in life seems to be fundraising. She does that often and well. She’s notorious for her extravagant junkets and worldwide jet setting, which enables her to run up big booze bills on her flights—all paid for by the taxpayers. Pelosi is a neoliberal who favors the Deep State status quo and like the Deep State, she despises President Trump. She’s a friend of Soros and undoubtedly endorses his schemes to fund endless caravans to come up and invade our country. She knows the wall would definitely be effective, because it will greatly slow the Democrat agenda down. Yet she lies about it in order to keep us flooded with hordes of future voters for Democrats, which has now become the Socialist Party in America. 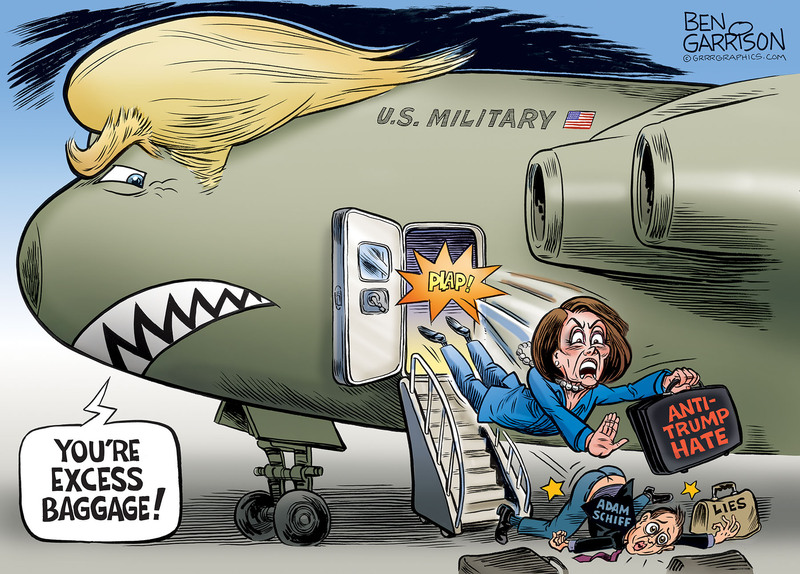 Peter Schiff was going to tag along for the ride with Pelosi, and so he naturally attacked Trump for refusing them free passage. Ostensibly Pelosi’s and her team were going to help encourage the EU and NATO, as well as the warmongering military-industrial complex that wants us to permanently stay in Afghanistan. 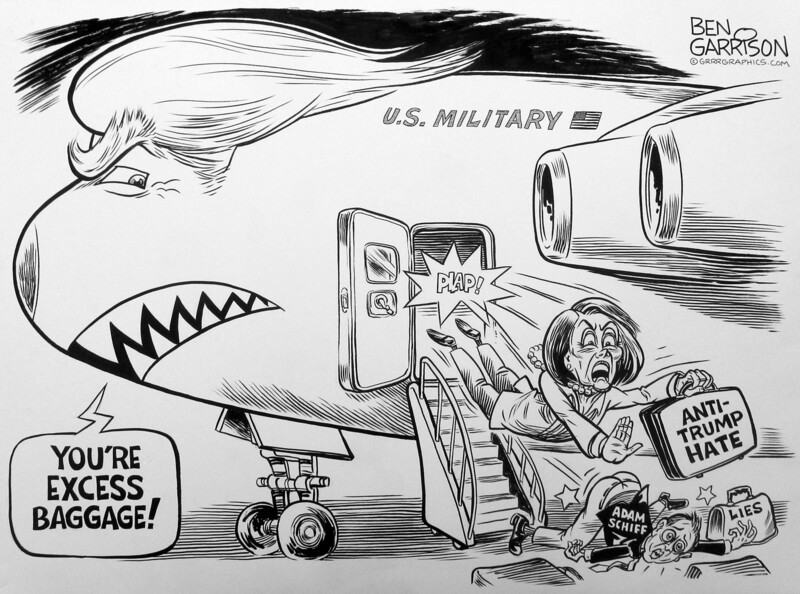 Pelosi can afford to fly on a regular airline if the PR trip is that important to her. Let’s hope there will be a few TSA agents still around to give her a good frisking. Just a few days ago Pelosi “disinvited” Trump from the SOTU address and told him he could not use the House chamber because of “security issues” created by the government shutdown. The DHS and the Secret Service promptly replied that there were no security issues, they have been preparing for the address for a month. Pelosi responded with “I don’t care what they say”, her little temper tantrum was on display.